I was certain he was dead. There he lay, so still, with no sign of breathing. No twitching. Not to mention that he was just inches from my feet. Surely if there was any life in him, he would have scurried away. Felix ignored the corpse, so I resolved to do the same. But I would be certain to tell my husband about it. After about 5 minutes, Felix got tired of the conversation and wandered away. So I rose, turned around and opened the door to go back into the house. All of a sudden, the three-legged lizard with the stump for a tail frog-hopped faster than a flash and dashed into the house. Ugh! In addition to the revulsion at having a reptile loose in my house, I also felt some admiration. Here this little creature lost a leg (and tail! ), probably while escaping from a mortal danger (Felix?) and yet he adapted and was still scurrying around, albeit awkwardly. It is so easy for us to become disgruntled and frustrated by our circumstances. To moan about how we deserve better, or to despair and fall into depression. There is no need to live that way. The Apostle Paul talks in this verse about being content in every circumstance. Not just the good ones or the ones that aren’t completely ideal. The secret is the strength “he” gives us. Jesus. Earlier in the chapter, in one of my very favorite passages, he tells us that we should, “with prayers and supplications” (pleading), with thanksgiving, make our requests known to God. And the peace of God that goes far beyond our comprehension will fill our hearts. He then continues and gives a list of things we should focus on. Good things. Pure things. True things. Noble things. Praiseworthy things. And to follow the teachings that have been left for us in the Bible. Again, he says the result of this will be peace. Remember, this was written by a man who was in prison yet again though he had done nothing worthy of the punishment. And he knew he was condemned to death! If you are feeling less than content, pray. Read your Bible. Do the things written there. And do this again as needed. I’m not saying it is an easy process, or even that it is instantaneous, but as you fill your mind with the truth about God’s character and His love for you and constantly focus on this, your perspective will change and you can have peace and contentment in your life, no matter what the circumstances. And in case you were wondering about that lizard, my husband was able to catch and release him outside where he has a chance to live out the rest of his life. With three legs. Adapting. And hopefully, being content. Felix is the neighborhood cat who has adopted me and comes to visit me at least twice daily. 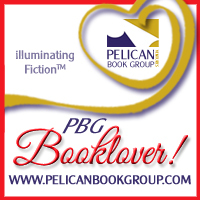 I would like to thank Gilead Publishing, Just Read Publicity Tours for giving me this copy of the book. This gift did not influence my opinion or review. Caden had lost his leg in Afghanistan, lost his best friend to the same IED, lost his girlfriend as a result of his “deformity”, lost his ability to serve in the Army, lost his purpose in life, lost his hope. He had everything figured out and was on his way to drown the ocean of misery that was his existence in the waves of the sea. As you can imagine, Caden underwent a significant spiritual journey and a complete change of mind about his life. His transformation from the gaunt (both physically and especially spiritually and mentally), hopeless man to one with purpose and, most importantly, a relationship with God unfolded in a most natural and beautiful way in this story. 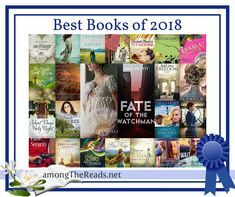 A Vast and Gracious Tide is such a rich story, containing just the right mix of mystery, suspense, action, romance, spiritual lessons and even a touch of humor. It was so well written and was certainly a page-turner. The setting of the Outer Banks in North Carolina allowed for the plot elements of sunken ships and unauthorized entry into the country of undesirable elements and substances. I loved the way McKenna seemed to instinctively know to allow Caden to do things for himself and not treat him like a cripple. Even from the very beginning, she didn’t try to help him up from the sand or coddle him in any way. They alternately fought and capitulated to the strong attraction between them, each one fearful of being hurt. Though I had a premonition about who was responsible for the crimes around the island, the hints were quite subtle. There were details that I would never have dreamed up, which of course, made the story much better than if it was predictable. The scene where he had to go to a beauty shop to get his hair cut – gasp! 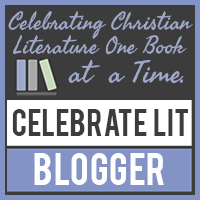 Thank you for your wonderful post on “A Vast and Gracious Tide” by Lisa Cox Carter and for being part of the blog tour. I had already placed this book on my TBR list and would love the opportunity to read it sooner than later. 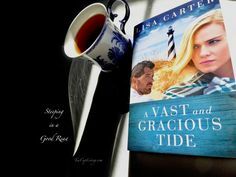 Thank you for great post on “A Vast and Gracious Tide” by Lisa Cox Carter and for being part of the blog tour. Sounds like a must read.